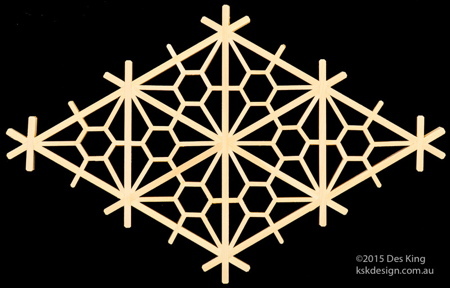 This new pattern for Book 3 is called the karahana kikkō, and is a well-earned break from the pattern mitsu-kude joints. 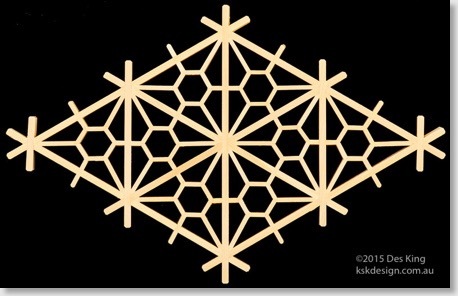 Karahana (唐花) is a Chinese floral arabesque-like pattern, and the karahana arrangement of petals is often used in family crests. The hexagons and short pieces with jaguchi joints at both ends make this quite a challenging pattern.